After years of hearing about how great a movie 'Donnie Darko' was I watched it on satellite one night. Everything I had heard and more was true about that film and luckily the station I watched it on showed it again right afterwards. It was even better the second time. 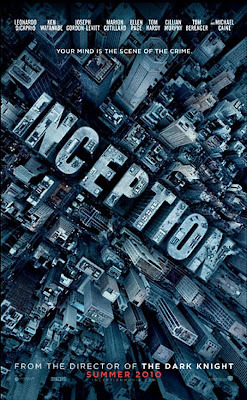 Now 'Inception' the new film by Christopher Nolan is exactly that same type of movie. Half way through I wanted to go back and watch it from the beginning because I know I missed what exactly was going on. There must have been clues that I missed that would explain how one minute the characters were in a van, the next in a hotel and the next attacking a mountain fortress. I wasn't annoyed that I couldn't figure things out, I was intrigued and we all know how thin the line separating annoyance and intrigue can be. For those of you that don't know, the whole film involved a group of individuals who can travel into the dreams of others using some form of technology. Like 'lucid' dreamers, they can move and sometimes change the look and feel and setting of a dream. This is all done to extract information from a person's brain that can then be sold to others for profit. 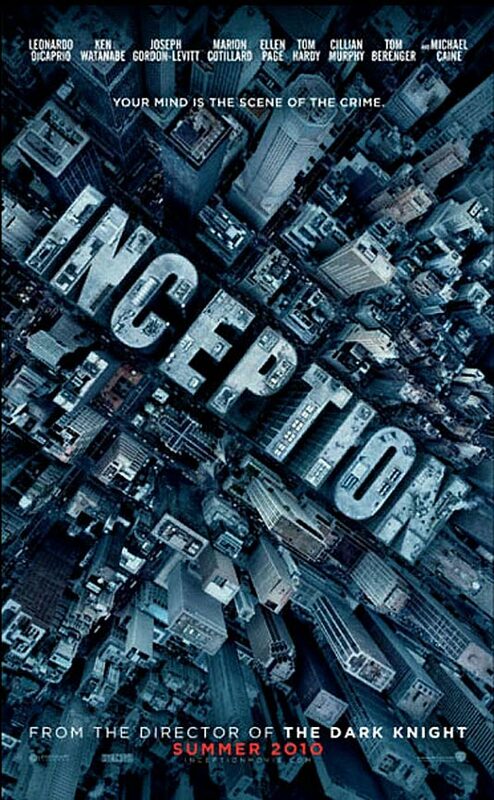 Even harder to do is 'Inception' which is the IMPLANTATION of an idea into the head of another person while you are in their dreams. All of this brain adventuring has it's risks and it's this risk vs reward universe that this gang of dream stealer's lives in. This movie is one that will require multiple viewings for me to fully understand and understand it fully is what I want to do. There are so many cool ideas floating around here and I really want to know how Ellen Page knows how to fix things when they go wrong since she is a newby. She should be the audience's tour guide through this maze but she often is just as confused as we are. I don't get it. But I will one day. And I am sure it will be great. I'm really looking forward to seeing this one. Ellen Page's character, Ariadne, is brought in by Cobb (Di Caprio )to be trained as the "architect" - basically the designer of the dream landscapes. Although a novice, she is the only one of the crew who really understands Cobb's psychological problems and is able to see a way out of the dreamworld he has inadvertently trapped them in. Just saw it in IMAX need to go like 10 more times. 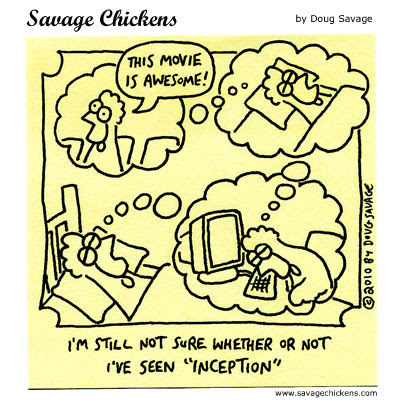 Inception was awesome! I would agree that it needs to be seen multiple times to fully appreciate it. Thanks to Christopher Nolan for making entertaining movies and not just slopping out crap like some directors.